Canadian percussionist Beverley Johnston is internationally recognized for her dynamic performances on a wide range of percussion instruments. Her performances have been distinguished as unconventional, effectively combining classical transcriptions, contemporary music, and a touch of theatre. She is also a leader in commissioning and premiering new works for percussion and her performances and recordings have been broadcast on radio networks all over the world. Her six solo CDs are Woman Runs with Wolves (2013, Centrediscs), Ming (2009, Centrediscs); Garden of Delights (2004, independent release); Alternate Currents (1992, Centrediscs); Marimbach (1989, CBC Records Musica Viva); and Impact (1986, Centrediscs, JUNO nominee). 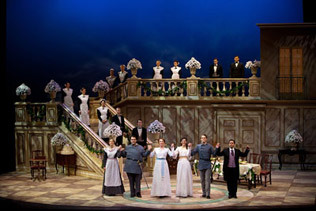 She can also be heard as soloist or chamber musician on numerous other recordings. 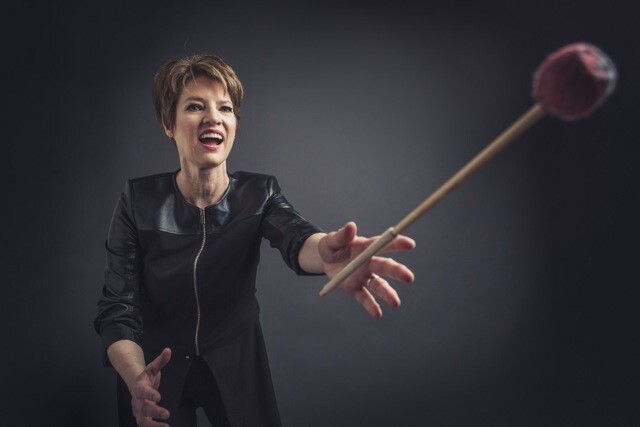 Since the millennium Beverley has performed all over the world as a soloist and as a chamber musician with flautist Susan Hoeppner, violinist Marc Djokic, The Blue Rider Ensemble and the European percussion group Joint Venture Percussion Duo. Beverley has been a guest performer at several marimba/percussion festivals recently including the International Katarzyna Mycka Marimba Academy in Europe (2013, 2015), the Shenyang International Percussion festival in China (2010), The International Marimba Festival and Conference in Minneapolis, USA (2010), The Zeltsman Marimba Festival in USA (2005, 2009, 2013), Nebojsa Zivkovic’s International Marimba Academy in Germany (2008) and Percussive Arts Society International Convention (1988, 1995, 2006, 2009, 2014). In October, 2016 she was invited to be a faculty member at the Banff Centre for Arts and Creativity. She has been an inspiration to many percussion students all over the world because of her unique expression as a percussionist. In 2009 she was given the distinction of becoming an Ambassador of the Canadian Music Centre in honour of her exemplary commitment to the performance of the music of Canadian composers. Beverley Johnston currently teaches at the University of Toronto and lives in rural Ontario with her husband, composer Christos Hatzis. Beverley is a Marimba One and Paiste Artist.